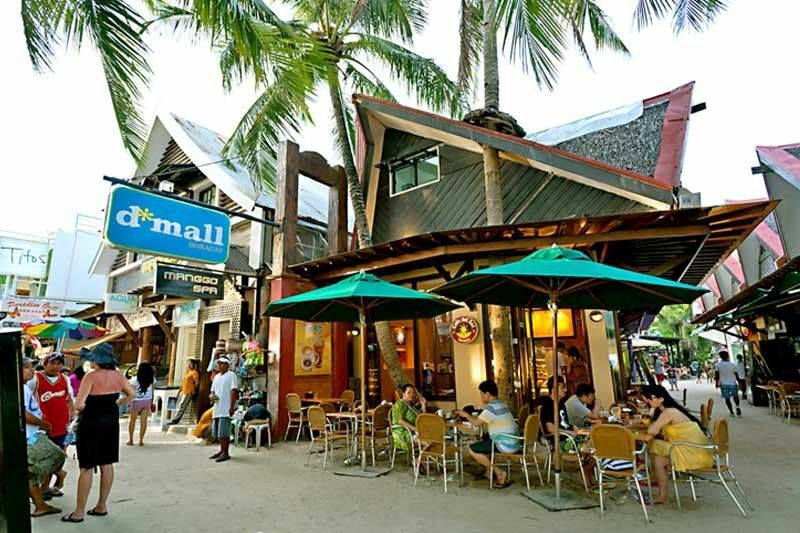 The partylist group Partido Manggagawa welcomed the inspection by the Department of Labor and Employment (DOLE) of Boracay establishments even as it asked for the inclusion of labor representatives in the plan. “We request the DOLE to include duly deputized representatives of labor groups in the planned inspection in Boracay to ensure compliance by Chinese-owned shops and stores of our labor laws and regulations. Under DO 183 released in 2017, reps of workers and employers can be deputized as labor inspectors to strengthen the labor law compliance system. Dozens of deputized inspectors from workers organizations have been trained since then and should now be deployed by the DOLE in Boracay,” stated Rene Magtubo, PM national chair. “However, we do not call for the expulsion or deportation of Chinese workers. The Chinese migrant workers should be treated justly just as we would like our overseas Filipino workers to be treated with dignity abroad. Once there is a formal determination that their jobs can be done by Filipinos and can be filled up, the Chinese workers can then be repatriated back to China at the expense of their Chinese employers who violated our laws. The Chinese workers must be paid by their Chinese employers for their wages for the duration of their contract even though it was not served because of the repatriation. This is our pro-migrant worker resolution of these problem of influx of Chinese workers in our country,” Magtubo explained. Riders from factories all around Cavite trooped to the giant ecozone at the town of Rosario this afternoon to protest union busting at two Korean-owned garments companies. Some 100 workers in a motorcade of 50 motorcycles held a mass action at the main gate of the Cavite Economiz Zone to slam the management of Jisoo Garments Manufacturing Corp. and Daegyoung Apparel Inc. Workers from the two garments factories are complaining of union busting by their management. The workers are alleging that management is maneuvering to bust the union in the companies. Jisoo separated almost all of its regular work force last March ahead of a possible certification elections this month. While in Daegyoung, workers are being called by management to meetings and asked to sign statements that they will not join a union. Last May 2018, the Department of Labor and Employment convened a dialogue between labor groups and the Philippine Economic Zone Authority to address complaints of violations of the right to unionize and labor standards in the major ecozones like in Cavite and Mactan Cebu. A technical working group was formed to resolve the allegations of union busting and other workplace grievances. A union busting complaint filed by the Jisso labor union is presently pending. A preventive mediation petition is due to be filed by the Daegyoung workers. To protest the union busting at two Korean-owned garments factories, Cavite workers are holding a motorcade tomorrow. Some 100 workers from different factories in motorcade of 50 motorcycles will stop at the main gate of the Cavite Economiz Zone in Rosario, Cavite to slam the companies Jisoo Garments Manufacturing Corp. and Daegyoung Apparel Inc. Workers from the garments factories are complaining of union busting by their management. The workers are alleging that management is maneuvering to bust the union in the companies. Jisoo separated almost all of its regular work force last March ahead of a possible certification elections this month. While in Daegyoung, supervisors are asking workers to sign statements that they will not join a union. Last year, the Department of Labor and Employment convened a dialogue between labor groups and the Philippine Economic Zone Authority to address complaints of violations of the right to unionize and labor standards in the major ecozones like in Cavite and Mactan Cebu. A technical working group was formed to resolve the allegations of union busting and other workplace grievances. Both Jisoo and Daegyoung supply to well-known and global garments brands. Jisoo manufactures clothes for Marubeni of Japan, Cross Plus of Japan, Vuarnet of France, Michael Bastian of the US, 8Seconds of Korea and Tomato. Daegyoung produces garments for Kohl’s of US, Vera Wang of US, Jennifer Lopez of US and UBase International of Korea. With less than three weeks to go until Labor Day, workers at two Korean-owned garments factories located at the Cavite Economic Zone are complaining of union busting by their management. These complaints once more put respect for freedom of association at the top of workers’ demands. Workers at the Jisoo Garments Manufacturing Corp. and Daegyoung Apparel Inc. are both alleging that management is maneuvering to bust the union in the companies. Jisoo separated almost all of its regular work force last March ahead of a possible certification elections this month. While in Daegyoung, supervisors are asking workers to sign statements that they will not join a union. The partylist group Partido Manggagawa (PM) lambasted the PSA for its poverty threshold of P10,481 for a family of five. “This threshold implies malnourished Filipinos and a miserable standard of living,” averred Rene Magtubo, PM national chair. “PSA did not provide additional details for its poverty threshold. But its food budget of P7,337 and P3,144 non-food budget contrasts with NEDA’s estimate of P3,834 for food and P6,008 for non-food. Out of the P7,337 food budget of PSA, we guess that P2,000 is allotted for rice. Such a budget can only buy 60 kilos of P32 NFA rice—which is hard to find in the market—for one month or 2 kilos per day to be shared by 5 people. This translates to just two cups (400g) per person per day or around 500 calories, just a fraction of the recommended daily calorie intake of 1,500-2,000. This means malnourished and stunted workers and children,” explained Rene Magtubo, PM national chair. In PM’s own study, P3,150 monthly are needed to buy daily 2.5 kilos of the cheapest commercial rice at P42. Of the P39,000 monthly budget, 44% is earmarked for food and 56% for non-food items. Utilities like electricity, water and cooking gas make up 8%, house rent 15%, transportation expenses 11% and education needs 13% of the total budget. “Our cost of living study is in fact an underestimation as it does not provide for leisure and recreation, savings or social security which should comprise 10% as a standard or for a house help which is a necessity if the government insists that both parents must work to sustain the family,” Magtubo averred. PM is calling for a substantial wage hike and national minimum wage as promised by President Rodrigo Duterte. The group is supporting pending bills calling for a national minimum wage of P750 to P800.